This week, Daniella and Ed are joined by Max Bergmann, CAP senior fellow and director of CAP Action Fund's Moscow Project, to discuss the Mueller report on Russian interference in the 2016 U.S. presidential election. This week, Daniella and Ed speak with Lt. Govs. Juliana Stratton (D-IL) and Kate Marshall (D-NV) about their day-to-day responsibilities and the challenge of balancing the needs of rural and urban constituents in their states. This week, Judd Legum, former editor-in-chief of ThinkProgress and founder of the Popular Information newsletter, helps us break down special counsel Robert Mueller's final report to Attorney General William Barr, as well as Barr's letter to Congress summarizing Mueller's principle conclusions. Kim Foxx: What Does It Mean To Be a Progressive Prosecutor? This week, Daniella and Ed speak with Kim Foxx, the state's attorney for Cook County, Illinois, about what it means to be a progressive prosecutor. Live From SXSW: What Should We Expect From the Police? This week, Ed hosted a panel of experts at the South by Southwest conference that explored what policing should look like in this day and age and how it intersects with criminal justice reform. This week, Daniella and Ed sit down with Vox correspondent Carlos Maza to discuss the symbiotic relationship between Fox News and the Trump White House. This week, Daniella and Ed chat with Candice Jones—president and CEO of the Public Welfare Foundation—to reflect on this year's Black History Month and discuss criminal justice reform. 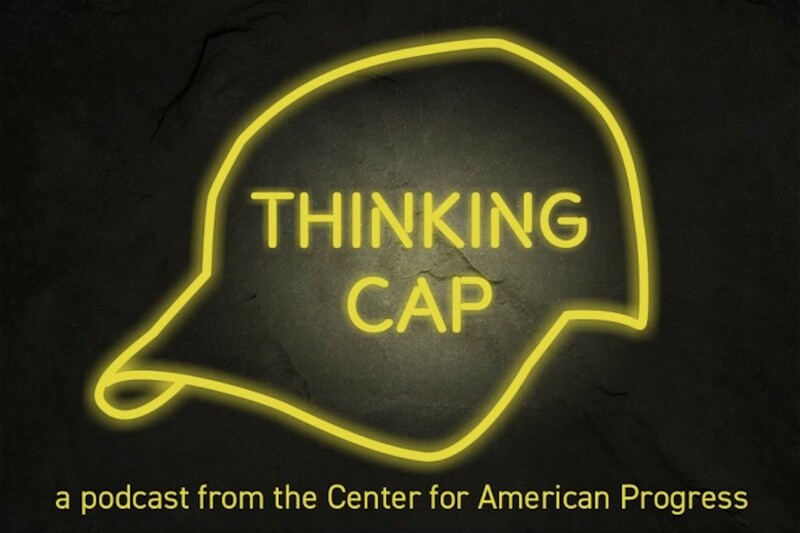 Thinking CAP is a weekly podcast featuring the nation’s top progressive leaders and influencers. The show covers the major issues at the intersection of activism, race, policy, and politics.